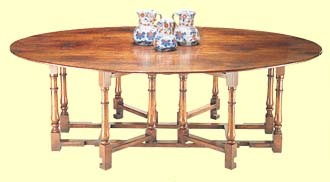 Barton~Sharpe offers the finest in hand crafted English and American furniture reproductions. Our wide selection of period styles and forms, available in many choices of woods and finishes ensures that history can be faithfully recreated to complement your present surroundings. In addition to our own product design, we are pleased to represent Arthur Brett, David Salmon Furniture, Fauld Town & Country Furniture, Somerset Bay, Modern History, D.R. Dimes & Co., Marshall James. We hope you enjoy browsing our site. When you browse through this web site or our showroom, you are looking at superior craftsmanship and quality; these are the principal products we offer at Barton-Sharpe .